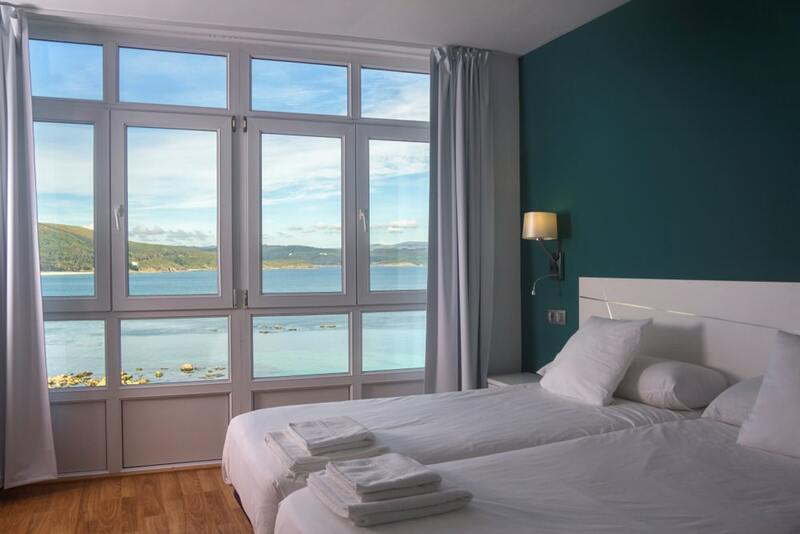 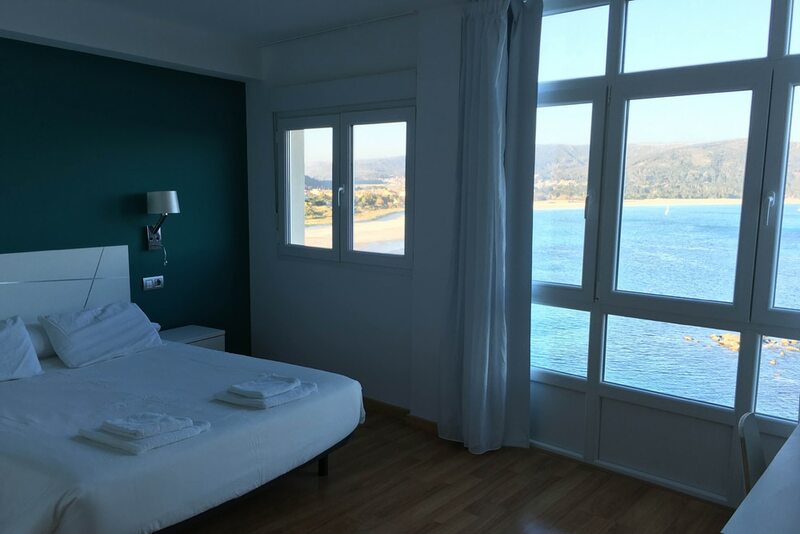 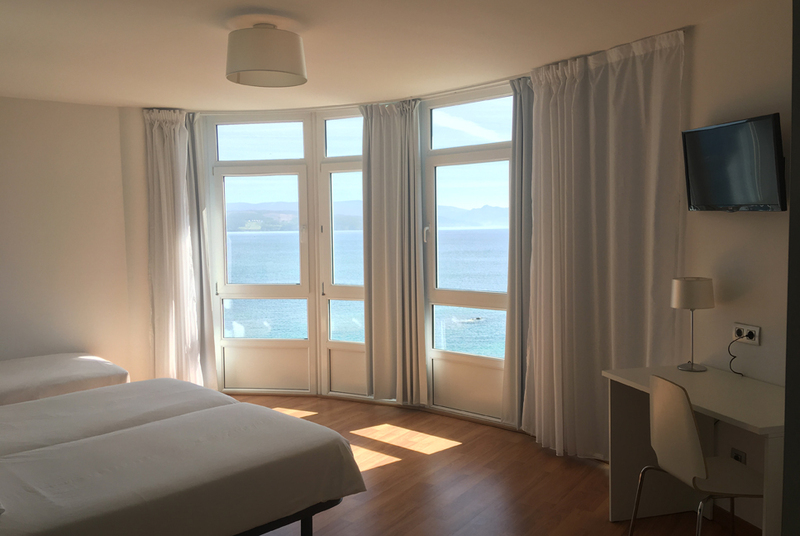 They are double rooms with sea view, with a bed of 150 cm or two beds of 90 cm. 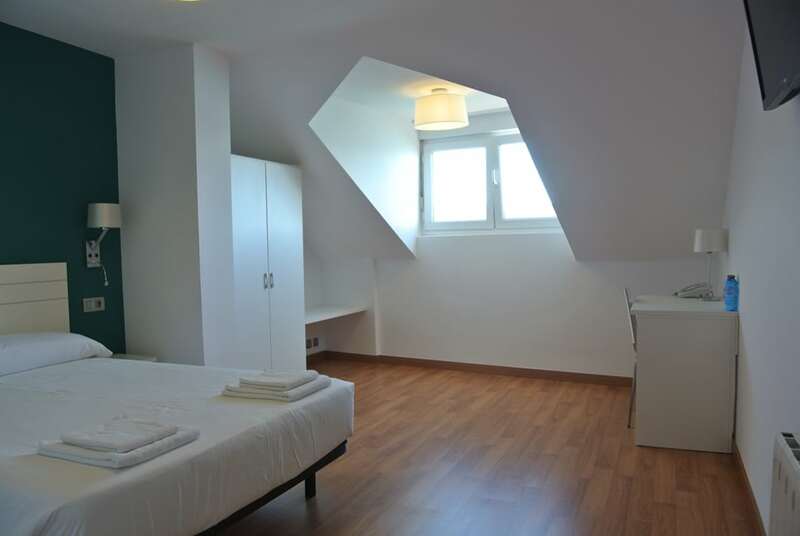 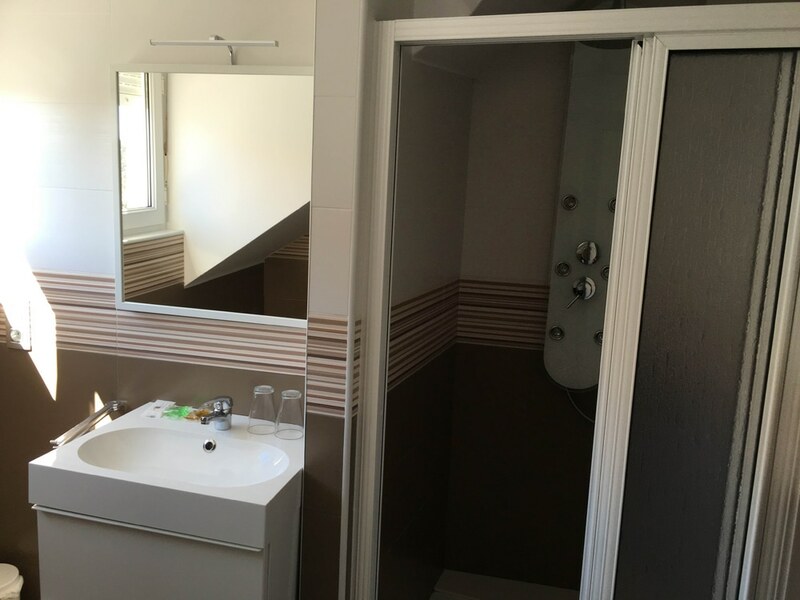 They have an area of between 15 and 17 m². 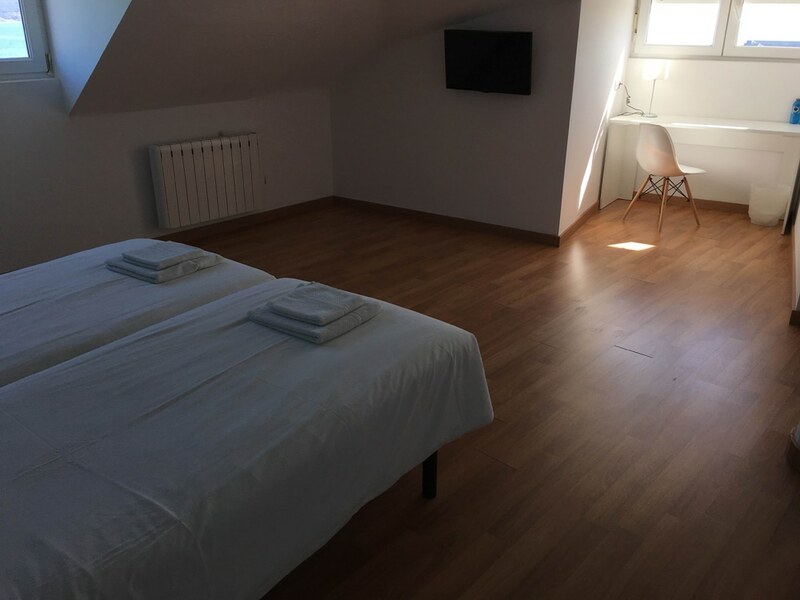 This rooms are equipped with a 28 "TV, wardrobe with two doors, luggage rack ,desk and chair, telephone, Wi-Fi internet connection and heating. 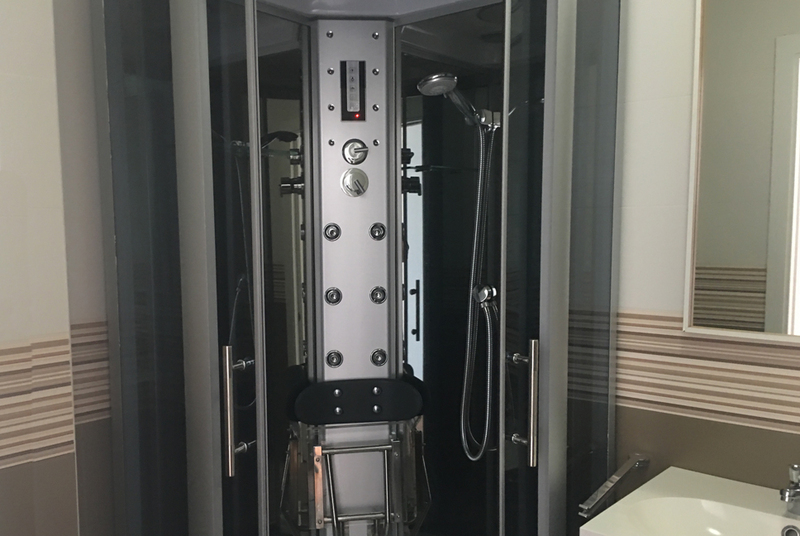 The bathroom in the room is equipped with hydromassage cabin or column, mirror with lighting, hairdryer with diffuser and welcome products. 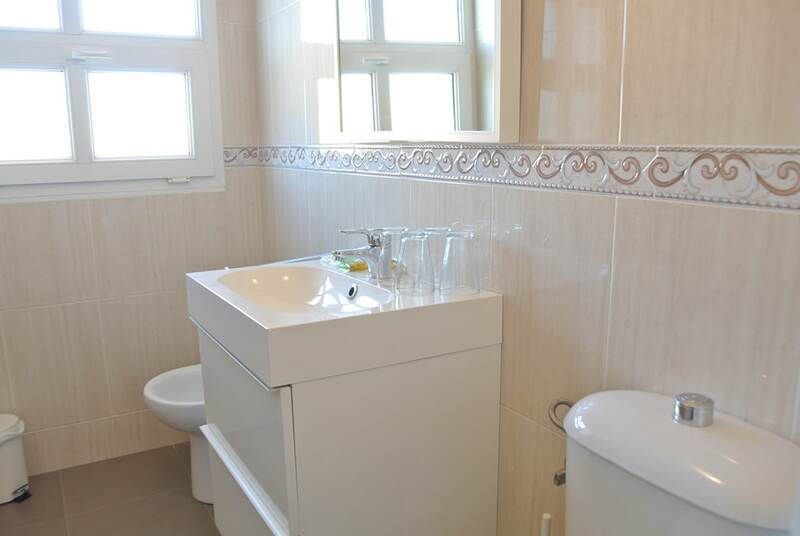 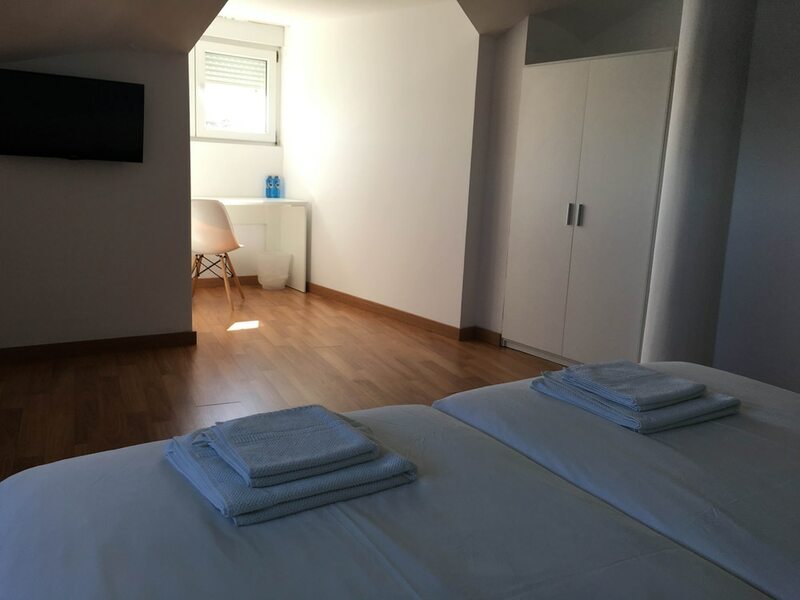 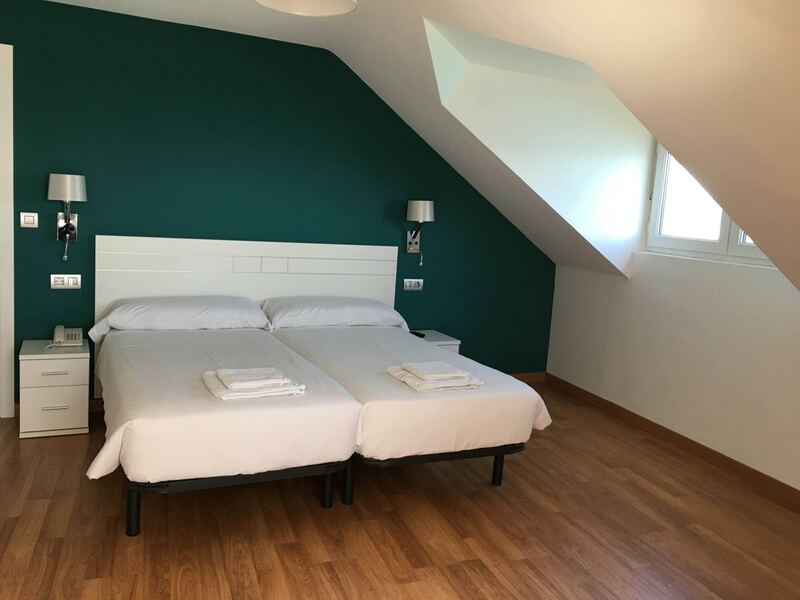 There are two double rooms with two beds, with an area of 14 m2 , this rooms are equipped with a 28 "TV, wardrobe with two doors, luggage rack ,desk and chair, telephone, Wi-Fi internet connection and heating. 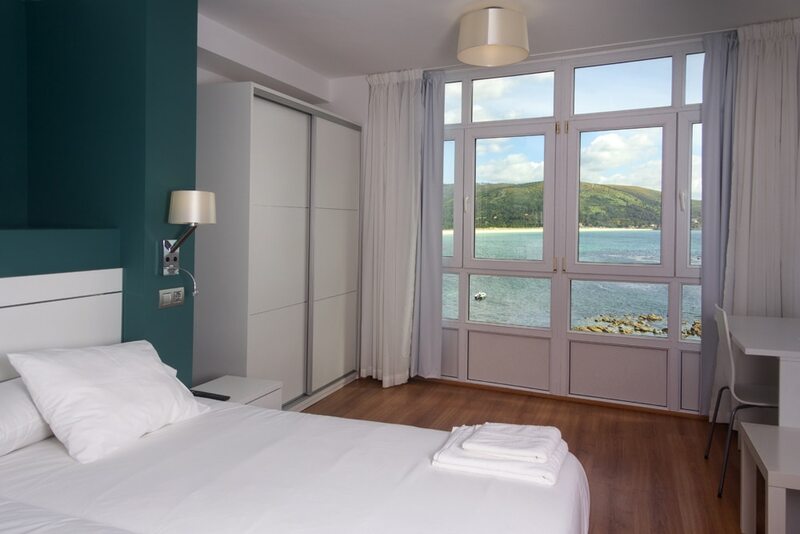 * These rooms will only be sold directly through the hotel for pilgrims credential . 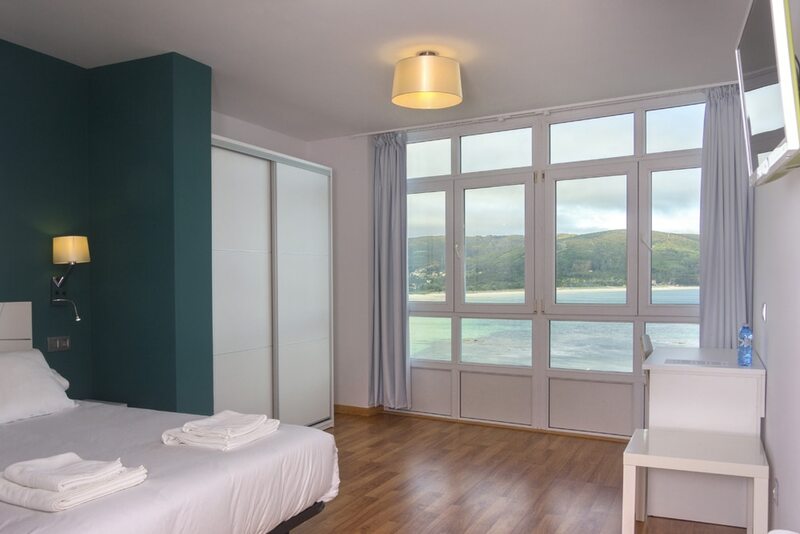 They are double rooms with sea view, with three beds of 90 cm. 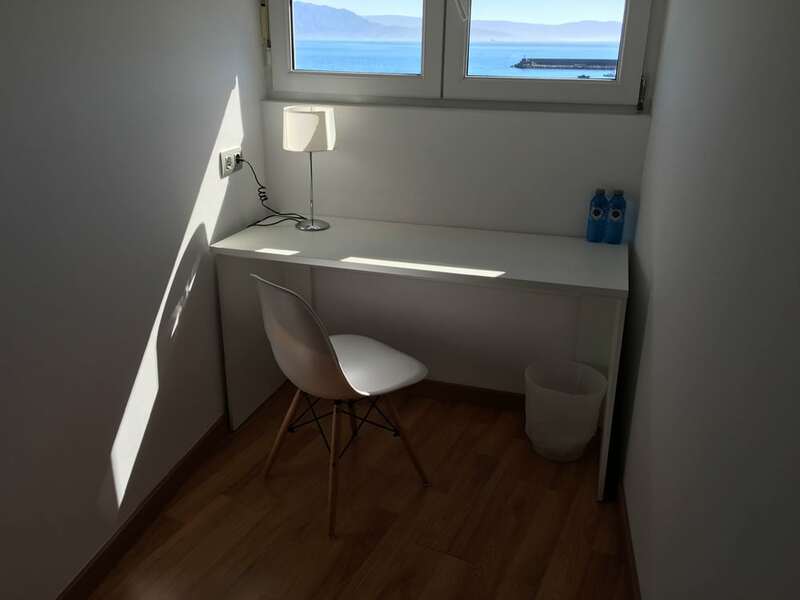 They have an area of 19 m². 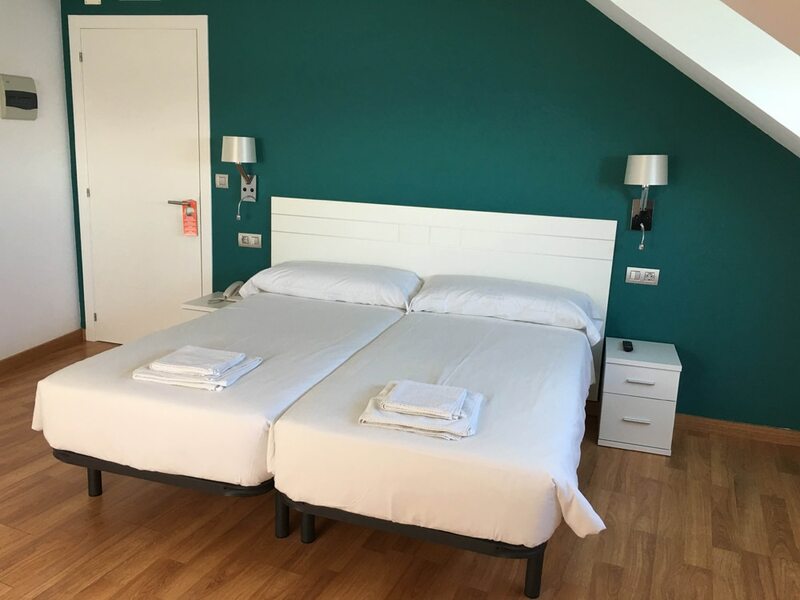 This rooms are equipped with a 28" TV, wardrobe with two doors, luggage rack ,desk and chair, telephone, Wi-Fi internet connection and heating. 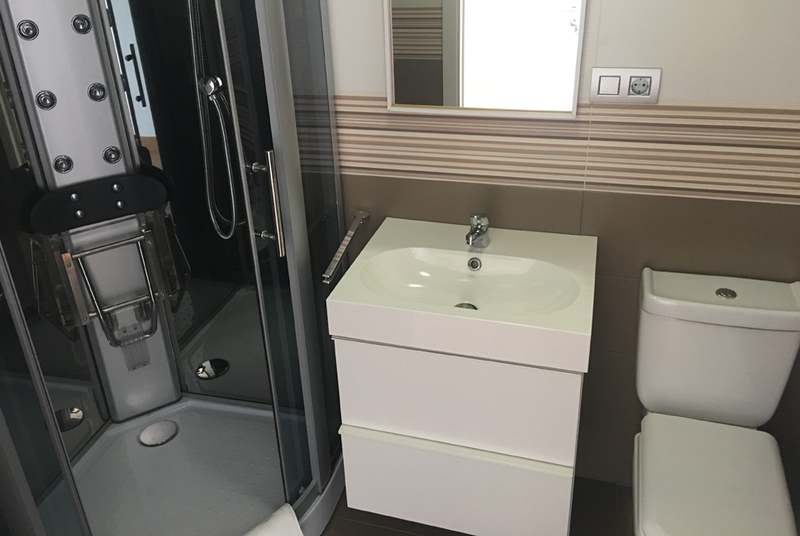 The bathroom in the room is equipped with hydromassage cabin, mirror with lighting, hairdryer with diffuser and welcome products. 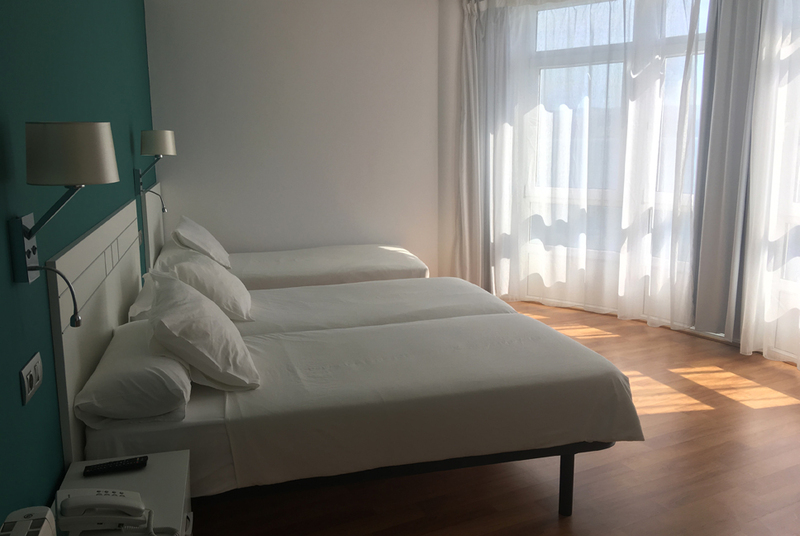 It is a room for four people, you have two beds of 90 cm and a bed of 150 cm, with an area of 35 m2, divided into two parts and bathroom. 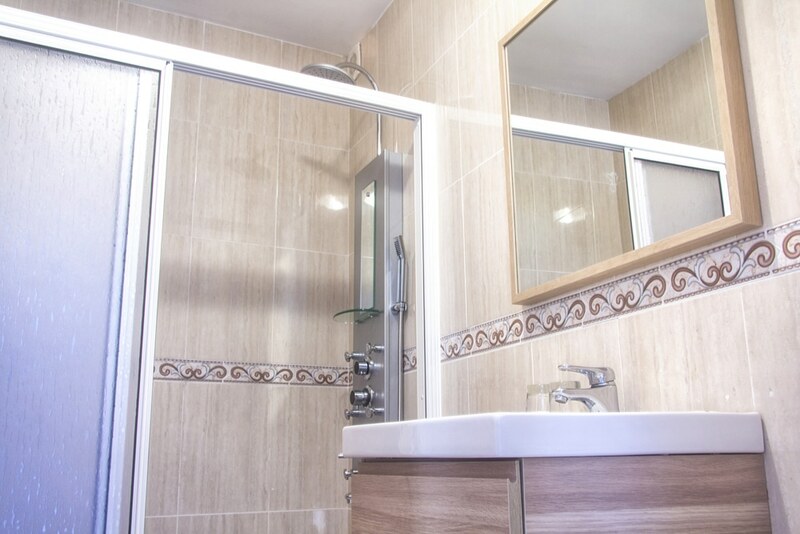 It is equipped with TV 28 ", This room is equipped with a 28" TV, wardrobe with two doors, luggage rack , two desks and chairs, telephone, Wi-Fi internet connection and heating. 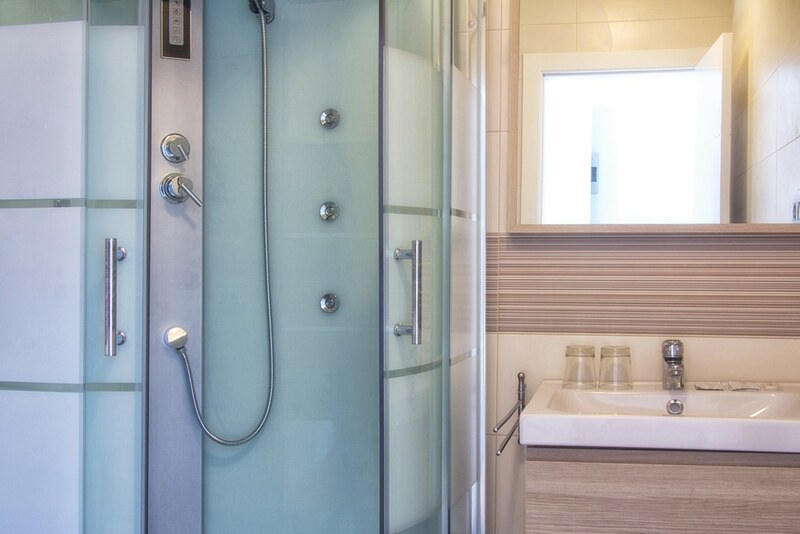 The bathroom in the room is equipped with hydromassage shower, mirror with lighting, hairdryer with diffuser and welcome products. 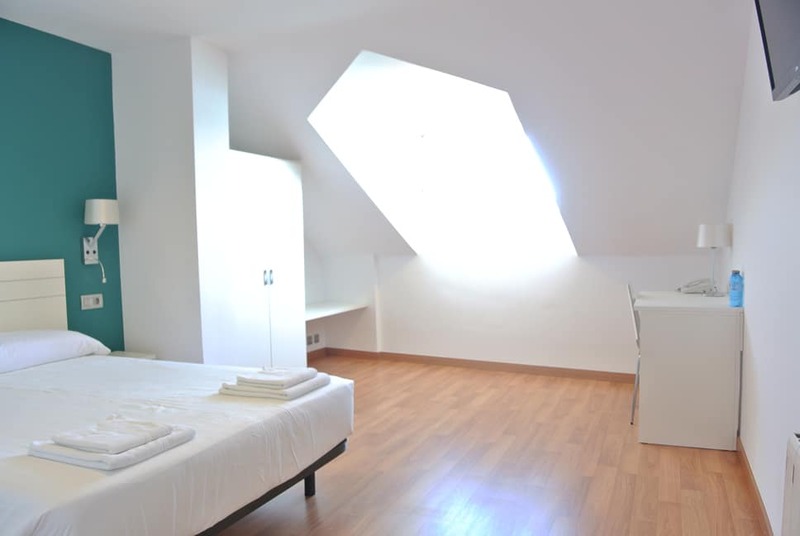 It's an ideal room for a family or a group of friends.